You are welcome to join the opening of the exhibition presenting works of artists working at II Painting Department of UAP Faculty of Painting and Drawing. 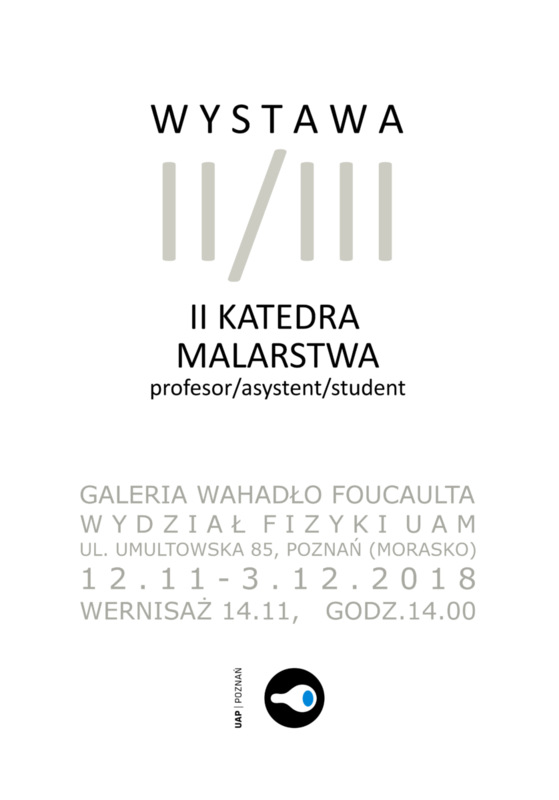 The set of paintings will bring closer the specificity of individual studios by showing the works in the Professor-Assistant-Student relationship. exhibition open until 3rd December 2018.